This entry was posted on 1 giugno 2018 at 17:59. You can follow any responses to this entry through the RSS 2.0 feed. Responses are currently closed, but you can trackback from your own site. 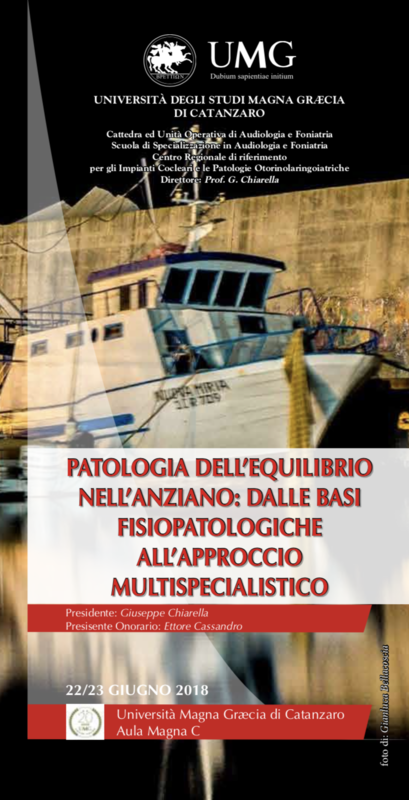 120 Responses to "Patologia dell’equilibrio nell’anziano: dalle basi fisiopatologiche all’approccio multispecialistico – Catanzaro, 22-23 Giugno 2018"